The Indian population has shown significant interest in virtual currencies, with India until recently being estimated to contribute to between 2 and 10 per cent of the US$430 billion virtual currency market worldwide. As the law currently stands, there is no clear definition of virtual currencies, crypto assets or cryptocurrencies in India. Prior to the VC Circular, the RBI and the Ministry of Finance had issued warning statements about the risks associated with virtual currencies, including money laundering, consumer protection, market integrity, cybersecurity and volatility. This shows that so far, the key government bodies, namely the government and the RBI, have significant reservations with respect to the usage of and trade in virtual currencies in India. At the moment, there is no express law that classifies virtual currencies as a good, service, security, commodity, derivative or currency. The categorisation of virtual currencies into one or more of these stated classes is important, as the existing law would apply differently based on the categorisation. Currently, there are over 1,500 virtual currencies in existence,4 all with differing properties, and their categorisation depends upon the nature of each.5 For instance, some are intended to be electronic cash (e.g., Bitcoin) and some are intended to be 'gas' for computer processing operations (e.g., Ether). In our view, for reasons elaborated subsequently in Section X, it is likely that virtual currencies in the nature of Bitcoin and Ether will be in the nature of goods or digital products, akin to software. 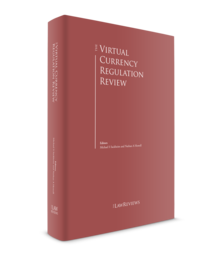 The laws referred to in this chapter are all of general application and have been discussed here as we interpret them in the context of virtual currency, since there is no specific legislation regulating virtual currency. As the law currently stands, virtual currencies in the nature of Bitcoin and Ether are unlikely to attract regulations relating to securities. The Securities Contracts (Regulation) Act, 1956 (SCRA) provides a non-exhaustive definition of securities,6 and there is currently no regulatory guidance on its application in the virtual currency context. Virtual currencies do not fall within the enumerated items of the definition. Further, the items under the definition derive their value from an underlying asset. However, virtual currencies like Bitcoin and Ether do not have underlying assets. Rather, the value is determined purely based on demand and supply. 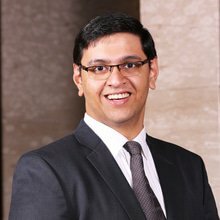 Further, virtual currencies such as Bitcoin often do not have an identifiable issuer, unlike the items in the definition of security under Indian law. Securities are defined in Black's Law Dictionary7 to include instruments evidencing a holder's ownership rights in a firm or a holder's creditor relationship with a firm (or government). It also states that securities indicate an interest based on investment in a common enterprise. Virtual currencies, including Bitcoin and Ether, do not have such ownership rights, credit relationships or investment in a common enterprise. Therefore, such virtual currencies are unlikely to fall within the definition of securities. However, some tokens (although not all) issued through initial coin offerings (ICOs) may fall within the ambit of the SCRA if they are issued from an Indian entity and meet the above tests. This is likely to be the case if they are issued by an identifiable issuer and are backed by the underlying assets of the issuer. Such tokens should be subject to regulation under the Companies Act, 2013 (Companies Act) (in respect of requirements surrounding the issuance and transfer of securities) and the SCRA (in respect of securities only being allowed to be listed on licensed stock exchanges). Since many token sales involve the acceptance of money or other tokens, it is relevant to analyse what regulations other than securities regulations (e.g., for tokens that do not qualify as securities) apply in such sales. The regulations under the Companies Act and the Companies (Acceptance of Deposits) Rules, 2014 (Deposits Rules) specify when the receipt of money, by way of deposit or loan or in any other form, by a company would be termed a deposit, and also provides certain exemptions from its applicability. For example, any amount received in the course of business as an advance for the supply of goods or services would not be a deposit if such advance is appropriated against the supply of such goods or services within a period of 365 days. If a company is deemed to be accepting deposits, a variety of compliance steps under the Companies Act and its rules, along with RBI regulations, would be triggered. If virtual currencies are classified as commodities, the activity of operating an exchange for trading such virtual currencies may be regulated as a commodities exchange, which can have implications under India's regulation on inward foreign direct investment (FDI), that is, the Consolidated FDI Policy Circular of 2017 (FDI Policy) and the Foreign Exchange Management (Transfer or Issue of Security by a Person Resident outside India) Regulations, 2017 (TISPRO). Within the commodity space, there are two relevant concepts: a commodities spot exchange, which deals with ready delivery, and a commodities derivative exchange, which deals with derivative contracts. The FDI Policy restricts the amount of foreign investment into commodity spot exchanges to up to 49 per cent of the share capital, without government approval. The SCRA requires that any exchange facilitating commodity derivatives needs to be a recognised stock exchange (i.e., a licensed entity). As the law stands, virtual currencies should not be regulated as commodities. According to a Securities and Exchange Board of India (SEBI) Circular10 read with a central government notification11 under the SCRA, the central government has notified certain goods for the purpose of the term commodity derivative under the SCRA and does not include any virtual currency. While this notification is only applicable to commodity derivatives and not ready delivery contracts, it provides the closest guidance on the point of what may be considered a commodity exchange at the moment. However, the central government may at any time choose to notify virtual currencies (in general, or any class of them) as commodities under the above notification. This would bring derivatives contracts in virtual currencies within the SCRA (and hence, SEBI's jurisdiction). For spot trading, foreign direct investment would then be restricted to 49 per cent of the capital. There is currently no separate licensing regime for commodities spot exchanges. India is a country with capital controls, where the inflow of foreign exchange into and outside the country is regulated under the Foreign Exchange Management Act, 1999 (FEMA). The FDI Policy and TISPRO, made under FEMA, regulate FDI in Indian entities. In our view, most business models facilitating the buying and selling of virtual currencies can be characterised as e-commerce marketplaces, in which foreign investment is permitted up to 100 per cent of the capital, without government approval. The term e-commerce has been defined by TISPRO and the FDI Policy to mean 'buying and selling of goods and services including digital products over digital and electronic networks'. As discussed in Section X, we believe virtual currencies such as Bitcoin and Ether can be characterised as goods or digital products. However, as discussed in Section III, the operations of Indian virtual currency businesses – at least insofar as they interact with fiat currency through regulated banking and payment channels – have been severely restricted by the VC Circular. The result is that FDI issues, as a matter of practicality, are currently rendered moot, as foreign investors may not seek to invest in such companies due to the legal climate surrounding virtual currencies in India. As mentioned above, the VC Circular prohibits regulated financial institutions (including banks and payment processors) from dealing with virtual currencies or providing services for facilitating any person or entity in dealing with or settling virtual currencies.12 Entities were given a three-month window, which expired on 6 July 2018, to close any existing relationships that dealt with virtual currencies. Although the VC Circular is currently being challenged before the Supreme Court, it continues to operate in full force and effect as at the date of writing. The effect of the VC Circular is that Indian users and businesses will not be able to use regulated banking and payment channels to deal with virtual currency. As a result, subject to a contrary decision by the courts, the VC Circular continues to severely hamper the virtual currency ecosystem in India since the means to transact between fiat currencies and virtual currencies has become heavily restricted. Traders can no longer buy virtual currencies through regulated electronic payments, and can no longer directly convert their virtual currency to Indian rupees through the banking system. They are, however, still able to use physical cash to trade in virtual currencies and to carry on trading between different virtual currencies (i.e., crypto-to-crypto trading). The lack of access to the regulated financial sector is likely to drive existing Indian businesses to explore alternative avenues, such as potentially moving abroad. The concerns stated by the RBI in the policy statement accompanying the VC Circular were consumer protection, money laundering and market integrity. In our view, the VC Circular may actually exacerbate these concerns, since a localised cash market is harder to supervise and regulate than a transparent market working through banking channels. In addition, the VC Circular is susceptible to attack on the grounds of it infringing various fundamental rights under the Constitution. Since many virtual currencies are used as a means of value exchange, questions arise as to whether any authorisation or compliance is required under the Payment and Settlement Systems Act, 2007 (PSS Act). Under Section 2(1)(i) of the PSS Act, a payment system is defined as 'a system that enables payment to be effected between a payer and a beneficiary'. If virtual currency-based systems do form payment systems, any person commencing or operating them will require the authorisation of the RBI under Section 4(1) of the PSS Act. There is nothing in the PSS Act to exclude virtual currency, since only the term payment is referred to, as opposed to currency, legal tender or money. Therefore, it needs to be judged whether a particular cryptocurrency-based system enables payment to be effected between a payer and a beneficiary, or a person to commence or operate such system. Arguably, many virtual currencies are not part of a system that enables payment to be effected between a payer and a beneficiary. A user may, for example, merely buy virtual currency using fiat currency for investment purposes and never choose to make any payment with it, and then dispose of it in return for fiat currency. There would be no payment, payer or beneficiary in this connection, and it would resemble the sale and purchase of an asset like gold. Further, the fact that the value underlying the virtual currency is not backed or guaranteed by the issuing entity or any other party (i.e., holders of virtual currencies cannot redeem them for value to the issuer (other than as a sale through ordinary market channels)) supports the view that a virtual currency is likely not to be considered a payment system. Under this view, virtual currencies can be characterised as goods or digital products that people are trading just as they would any other digital products like music files or e-books. Furthermore, owing to the decentralised nature of many virtual currencies, including Bitcoin, the issuers who do commence systems as a matter of practicality cannot be identified. This would mean even if decentralised virtual currencies amount to payment systems, regulators may be unable to pursue the issuers, as they are anonymous. In addition, as is the case with decentralised virtual currencies, entities without power, influence or control over a system are unlikely to be liable for operating it, since the ledger functions independently of any operator. Even if there is a centralised issuer, that issuer may merely create and release tokens, which are then listed on virtual currency exchanges: such issuer may not play a payment, clearing or settlement role. In such a case, a virtual currency can be seen as a licence to use the particular virtual currency ledger, which licence is freely tradeable in the open market. However, a counter-argument to the above analysis can be made that a virtual currency blockchain does create a technology to enable the transfer of value from person to person, and hence enables payment to be effected between parties. Under this argument, many virtual currency blockchains may amount to payment systems, requiring the entities commencing or operating them to obtain authorisation under the PSS Act. To date, in light of the VC Circular and the government's intent to eliminate the use of crypto assets (i.e., virtual currencies) 'as part of the payment system', as stated in the Finance Minister's 2018 Budget Speech, it is unlikely that a virtual currency business operating a payment system will successfully obtain authorisation under the PSS Act. It is often difficult for regulators to track virtual currency transactions owing to their pseudonymous nature. While wallet identities can be tracked in the blockchain, these wallet identities cannot be easily traced to individual identities. This ability to transfer something of value over the internet that can evade the conventional financial monitoring framework has raised alarm in the eyes of regulators, as they are unable to track the flow of funds that could be used for money laundering purposes. Currently, know your customer (KYC) and anti-money laundering (AML) norms are set out under a range of different legislation and RBI directions. However, these norms do not apply specifically to virtual currency-based businesses (unless they are otherwise-regulated financial institutions). KYC/AML norms under various laws – for example, the Prevention of Money-Laundering Act, 2002 and the RBI Master Direction – Know Your Customer (KYC) Direction, 2016 – only apply to businesses regulated by the RBI and other regulators such as SEBI. Therefore, businesses dealing with security-related virtual currencies, as discussed in Section II, or are operating payment systems, as discussed in Section III, may be subject to KYC/AML requirements. Although KYC norms do not appear to apply to most virtual currency-related businesses, it is advisable for these businesses to follow KYC measures on the lines followed by regulated entities, especially if they accept retail users. This would enable such businesses to effectively respond to law enforcement investigations and requests for information, so as to avoid allegations of being complicit in money laundering or other fraudulent activities. Although there is no specific regulation of the activity of virtual currency exchanges and trading platforms, the ability of such businesses to function has been severely restricted by the VC Circular. Order book exchanges will be affected, as the people party to transactions can no longer rely on the regulated banking system to convert fiat currency into virtual currency. Similarly, over-the-counter exchanges that have relied on the regulated banking system will no longer be able to do so. Exchanges can therefore only deal with physical cash, which is impractical, or possibly facilitate exclusively crypto-to-crypto trading. There is currently no Indian law specifically regulating the activity of virtual currency mining. Mining can be considered a software development activity that generates value in the form of a newly generated virtual currency (sometimes known as the block reward). Fully domestic mining as an activity therefore should only be subject to laws of general application. 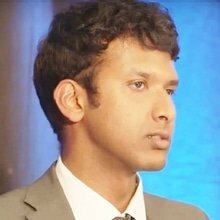 While there is no judicial precedent on this issue, FEMA and its regulations may be relevant where the block reward is sent to a virtual wallet address in India and subsequently transferred abroad to a foreign wallet (see the discussion under Section X). However, an arrangement where an Indian entity only provides the physical mining infrastructure and the newly generated virtual currency is availed directly by a wallet address that is held by a non-resident entity abroad should not attract the export and import-related legal obligations under FEMA. In such a situation, the virtual currency was never held in India, and thus there is no transfer of a virtual currency from India to a foreign country. The VC Circular restricts domestic and international entities from issuing virtual currency in exchange for fiat currency to be received through the banking system. Issuers may still issue virtual currency in consideration for other virtual currency, subject to the discussion on FEMA under subsection ii below. As discussed above, if a virtual currency being issued amounts to a security, deposit or collective investment scheme, the applicable legal requirements for such issuance and related ongoing compliance will be triggered. The purchase, whether through fiat currency or virtual currency, by Indian residents of virtual currencies issued by international entities is subject to the import and export regulations under FEMA. Cross-border crypto-to-crypto transactions may fall afoul of FEMA from an Indian resident's perspective (see Section X). Issuing tokens in exchange for money or other tokens that merely act as an advance against future services (often known as utility tokens) is workable subject to – for cross-border issuances – the FEMA issues discussed in Section X. However, if such advance is not appropriated against the actual services within 365 days, the amount may be considered a deposit under the Companies Act and the Deposits Rules, as discussed in Section II. Thus, utility token issuers wishing to avoid the restrictions on deposits can contractually ensure that the services are supplied within the required 365-day period. These tokens are intended to be used as a means of payment for trading goods or services, as a form of money or value. Unlike utility tokens, they do not give rise to claims for goods or services against their issuer. From an Indian law perspective, if the blockchain relating to a token forms a payment system requiring authorisation under the PSS Act, then, as discussed above, the entity that commences or operates such a system may be required to be authorised by the RBI. At the moment, there are no laws specifically targeting fraud in the virtual currency sector. However, although it may be a common misconception in India that virtual currency businesses are operating in a completely unregulated space, this is not the case. Various laws of general application, such as the Indian Penal Code, 1860 (IPC), the Prize Chits and Money Circulation Schemes (Banning) Act, 1978 (Prize Chits Act) and the Consumer Protection Act, 1986 (CPA), will act against fraudulent business activity. Action has already been taken by authorities under the IPC and Prize Chits Act against fraudulent virtual currency-based businesses.14 The IPC and the Prize Chits Act are criminal laws, while the CPA provides a civil remedy. Sections 415 to 420 of the IPC criminalise cheating. If any person (thus including a virtual currency business) 'fraudulently induces [a deceived person] to deliver any property to any person', and that act causes or is likely to cause damage to the deceived person, he or she can be penalised under Sections 417 and 420. Similarly, the Prize Chits Act penalises schemes for the making of quick or easy money (money circulation schemes) and various types of prize distribution schemes (prize chits). The CPA protects consumers against unfair trade practices, deficiencies in services and defects in goods. Unfair trade practices include false or misleading advertising. As a result, if any virtual currency business makes misrepresentations to consumers or provides deficient services, consumers will have recourse under the CPA. In India, taxes may be on income (direct taxes) or expenditure (indirect taxes). Taxation of virtual currency-related activity can therefore be discussed under two heads: income tax (direct tax) and goods and services tax (GST) (indirect tax). Taxation of income in India is governed by the provisions of the Income Tax Act, 1961 (ITA). Under the ITA, Indian residents are subject to tax in India on their worldwide income, whereas non-residents are taxed only on income sourced in India. However, non-residents who are residents of a country with which India has signed a tax treaty have the option of being taxed as per the tax treaty or the ITA, whichever is more beneficial. Under the ITA, the key issue is whether income from virtual currency is treated as capital gains or profits and gains of business or profession. For instance, if a seller is a trader by occupation, the income should be taxed as business income. If it is not business income, such income would be taxed in the nature of capital gains. However, this is not yet clear under Indian law, which makes it difficult to conclude how virtual currencies may be taxed. The ITA and its associated rules do not specifically refer to the treatment of virtual currencies, and there have been no judicial precedents in this regard. Rather than taking a blanket view, the ITA needs to be interpreted keeping in mind the facts and circumstances of each transaction, since individuals and corporates may deal with virtual currencies in a variety of contexts, sometimes as capital assets and sometimes in the course of business. The relevant laws concerning GST are the Central Goods and Services Tax Act, 2017, the Integrated Goods and Services Tax Act, 2017 and the respective State Goods and Services Tax Acts, which each have different jurisdictional ambits. the provision of services from one state to another state in India. The Tariff Schedule for Goods currently contains no specific category for virtual currencies, but does contain a residuary category of goods. Virtual currencies may therefore (assuming they are treated as goods for the reasons discussed in Section X) fall within the residuary category. Under the GST regime, GST is chargeable on transactions where goods are supplied in the course or furtherance of business. As there are a multitude of virtual currencies and each transaction varies in nature, determinations must be made on a case-by-case basis as to whether GST is to be paid. Persons selling goods in the course or furtherance of business and requiring GST registration (which registration depends on persons meeting an annual revenue threshold) are required to include GST in their sale invoices. Additionally, GST should be payable with respect to services provided (e.g., services of a trading exchange) in connection with the sale and purchase of virtual currencies. Where a person casually sells virtual currencies as a hobby, there should be no GST consequences. Sales of virtual currencies where they were initially held as an investment should also attract no GST liability. It is important to also note that double taxation issues may arise, where consumers might be subject to GST while purchasing virtual currencies, and again on their use in exchange for other goods and services that are in turn subject to GST. Such issues have yet to have been accounted for by the GST regime. Cross-border transfers of virtual currencies, or cross-border remittances for the purchase or sale of the same, raise questions under FEMA, India's foreign exchange control law. In this section, we examine the possible categorisation of virtual currencies under FEMA, and subsequently the legal implications. There is no express definition of goods under FEMA. However, according to the Foreign Exchange Management (Export of Goods & Services) Regulations, 2015, goods and software are treated alike, and 'software means any computer program, database, drawing, design, audio/video signals, any information by whatever name called in or on any medium other than in or on any physical medium'. Since virtual currencies are information, it would appear that they fall within the aforesaid definition of software. While the judgment was not in the context of a virtual currency or the definition of goods under FEMA, it provides useful interpretational guidance, since the term goods has not been defined under FEMA. We observe that virtual currencies are intangible, and are made and marketed and stored on physical servers. They are capable of being bought and sold, as well as transmitted, transferred, delivered, stored and possessed. It may be argued whether virtual currencies possess utility or not. However, virtual currencies such as Bitcoin and Ethereum are used for various purposes, including being a store of value, a transfer of value, micro-payments and decentralised applications. Demand for such virtual currencies further indicates their utility. Therefore, in our view, based on the text of the law as it stands, virtual currencies such as Bitcoin and Ether are closest in nature to goods under FEMA. On the other hand, the definition of currency under FEMA is an enumerated list, and includes 'any instrument which can be used to create a financial liability'. Virtual currencies are not named under any of the enumerated categories, and in the case of virtual currencies such as Bitcoin, there is no entity that is accepting financial liability in connection with the instrument. The RBI, in response to a right to information request, has also stated that it does not classify virtual currencies as currencies under FEMA. Note that there has been no express classification of virtual currencies under FEMA, and the above discussion is based on our interpretation of the generally applicable position as at the time of writing. If a virtual currency is sent outside India by Indian residents as payment for services rendered or goods (including other virtual currencies) sold by a non-resident entity, then the transaction is likely to be characterised as an export of goods regulated under the Foreign Exchange Management (Export of Goods & Services) Regulations, 2015 and the Master Directions on Export of Goods and Services (together, Export Regulations). The Export Regulations require, inter alia, that the full value of any exports be received only via authorised banking channels (i.e., in fiat currency) and that any set-off of import payments against export receivables only happen through a process facilitated by the authorised bank. This results in the position that a cross-border barter would not be permitted. Thus, the cross-border transfer by Indian residents of virtual currencies without receiving fiat currencies through authorised banking channels is likely to violate the Export Regulations. Note that the export-related obligations are on the exporter: that is, usually the Indian resident and not the foreign recipient. As such, foreign recipients, unless they specifically target Indian residents, may be able to ring-fence themselves from the above provisions. Previously, the import-related provisions under FEMA could be used to potentially justify some types of outward remittances of fiat currency for the purchase of virtual currency. However, as the position now stands as a result of the VC Circular, banks are obliged to refuse the drawing of foreign currency for the purpose of importing virtual currencies. Thus, the import of virtual currencies into India using an outward remittance of fiat currency is likely to be refused by banks. Currently, the law in India on virtual currencies is in flux. There is a pending Supreme Court case against the VC Circular, as well as a multi-stakeholder government committee that is due to submit its report on the legal treatment of virtual currencies. The government has made several pro-blockchain statements in various reports and press statements, but has continually cautioned against the risks associated with virtual currencies. In our view, blockchain as a system would be rendered either impotent or severely restricted (depending on the blockchain implementation) without any virtual currency or crypto-token. This has been recognised by several global experts, including Ethereum co-founder Vitalik Buterin and author Andreas Antonopoulos. Such tokens act as an incentive to blockchain participants to verify transactions, and hence preserve decentralisation, which is the very breakthrough of blockchain technology. As a result, it may not be a wise policy to try to promote blockchain on the one hand, and then severely restrict tokens on the other. The current stance espoused by the VC Circular appears to be borne out of a negative impression that media reports may have created after incidents of fraud, such as the WannaCry ransomware, activities on the dark web and certain Ponzi schemes. However, virtual currencies also bring with them several benefits, most notably disintermediation and cost savings. Outright restrictions on such technology are impractical and might be relatively straightforward to circumvent. Rather, as with all disruptive technologies, balanced regulation should be adopted to mitigate the risks and promote the benefits. It is our hope that any impending policy or judicial decision recognises this fact, and adopts a nuanced framework towards this. In our view, the current impasse may last for the next few months, until industry and regulatory understanding matures both domestically and globally. Our long-term view is positive. The implementation of successful global regulatory models should also hasten progress towards a balanced regime in India. 1 Vaibhav Parikh, Jaideep Reddy and Arvind Ravindranath are lawyers at Nishith Desai Associates. 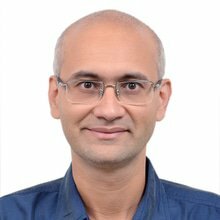 The authors would like to thank Rahul Ramesh of Monash University for his research assistance. 2 Disclosure: the authors are advising the Internet and Mobile Association of India in the proceedings against the Reserve Bank of India. 3 The latest media reports suggest that this report is expected at the end of 2018. 4 https://coinmarketcap.com/all/views/all/ (2 August 2018). (id) units or any other such instrument issued to the investors under any mutual fund scheme. (iii) rights or interest in securities. 7 Black's Law Dictionary (10th edition 2014). 9 The term deposit includes 'an amount of money received by way of an advance or loan or in any other form, by any deposit taker with a promise to return whether after a specified period or otherwise, either in cash or in kind or in the form of a specified service, with or without any benefit in the form of interest, bonus, profit or in any other form, but does not include . . . [certain enumerated categories]'. The Bill provides a schedule of regulated deposit schemes, and all unregulated deposit schemes are prohibited. 11 S.O. 3068(E) (Ministry of Finance, Department of Economic Affairs). 13 Rule 14(2) of the Companies (Prospectus and Allotment Securities) Rules, 2014. 17 Tata Consultancy Services v. State of Andhra Pradesh (2004).